Jesser, Ravid, Jason, Basso and Farber LLP represents the successful merger of Jesser and Farber, LLP and Ravid & Bernstein LLP , one of the most significant Chicago accounting firm mergers of 2013. The combined firm is able to provide an expanded range of accounting, audit, tax and consulting services to private businesses, not-for-profit organizations, individuals, trusts and estates. The expanded firm teams five partners and a staff of fifteen additional professionals, supported by an administrative staff of five, all working together to handle the accounting, tax and consulting needs of our clients. The small business division of our practice consists of privately-owned companies with annual revenues generally under $50 million in a broad range of industries, including professional practices such as medical offices and law firms, sales/service companies, manufacturing, distribution, retail, contracting, real estate and not-for-profit organizations. For details about our corporate financial services, visit our Business Services Page. Our expertise with Quickbooks and other popular accounting software is a significant resource we offer in meeting the accounting and systems needs of our small business clients. Select members of our staff are certified Quickbooks Pro-Advisors. To learn more about our Quickbooks expertise, visit our Business Services Page. We have the unique ability to combine traditional bookkeeping practices with state of the art technology and software, allowing us to offer an integrated approach to accounting systems for small and mid-sized businesses. Many of our clients have employee benefit plans. For such clients we handle the accounting and compliance requirements of their pension, profit sharing and/or 401(K) plans. We provide personal income, estate and trust tax planning services to individuals in Chicago and numerous other states, as well as U.S citizens living abroad. Our tax preparation services are geared to your specific financial situation. 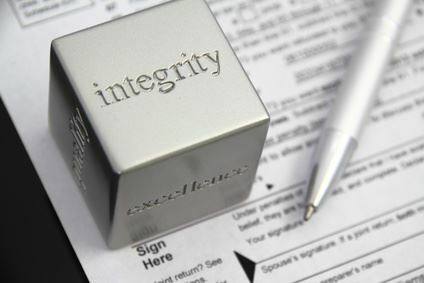 While many of our individual clients are principals of the businesses we service, we also have a substantial number of clients for whom we handle strictly personal income tax matters with the same level of attention and commitment to quality. A growing component of our practice is the provision of custodial services such as cash management, bill payment and record-keeping to individuals lacking the time, patience or ability to handle such tasks. The Firm is a member of the American Institute of Certified Public Accountants and the Illinois CPA Society. Accordingly, we have participated in the AICPA Peer Review program since its inception and have always received an unqualified opinion on our system of quality control. Our rigorous program of continuing education ensures that all professionals maintain the highest level of proficiency in the fields of accounting, financial services and taxes, including regular attendance at seminars conducted by recognized experts to stay abreast of new developments in all areas. If you think that any of our services may fit your needs, or if you simply want additional information, please feel free to contact us by telephone or E-mail. We will be more than happy to speak with you and/or arrange for a meeting. Thank you for visiting our website.